To develop robotic/automation solutions for composites manufacture, especially for near net shape preform manufacturing. 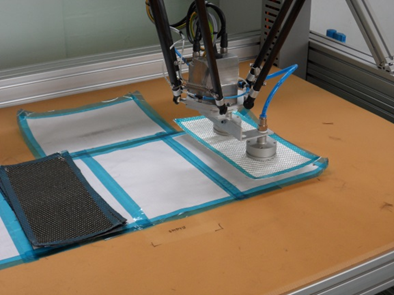 Robotic fibre placement: A new tufting head has been developed with variable stroke length which enables variable tufting loop height. Integration of the fibre placement process with the tufting process is being explored. 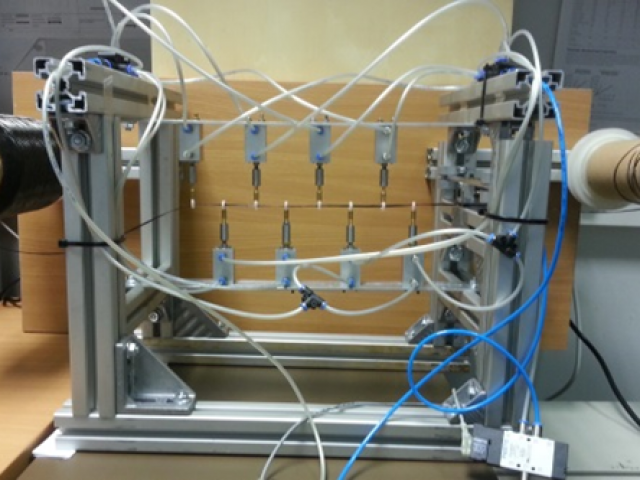 Robotic tripod system: Preforming with a high-speed tripod robotic system is being developed. The tripod has been commissioned and fibre placement tooling is being developed. Lightweight tool is being developed for integrating a pick and place process along with fibre placement at different fibre orientations. 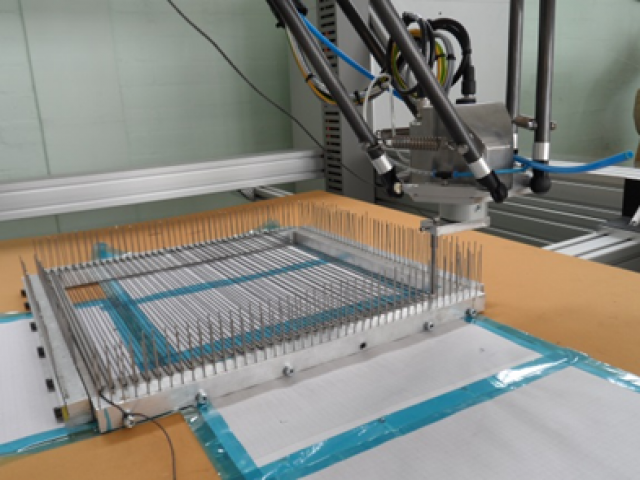 Various fabric gripper systems have been explored such as vacuum suction and Bernoulli grippers to understand effect of fabric air permeability on accuracy of pick and place. 3D weaving: Based on previous manufacturing trials, modifications were needed to increase process flexibility and to run the weaving process smoothly. A weft insertion mechanism has been modified by integrating individual drives which enables complex near-net shape preforming. The shedding mechanism has been modified to produce various weave architectures such as angle interlock, layer to layer and orthogonal. The total number of drives has increased 30 from 15 which enhanced capability of the machine. 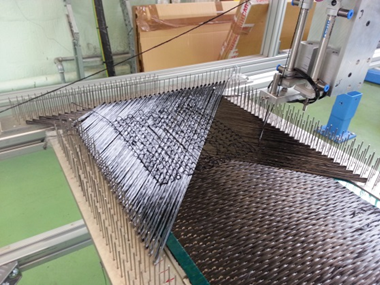 Various weave architectures are being produced and tested for comparison with preforms from conventional weaving machines. 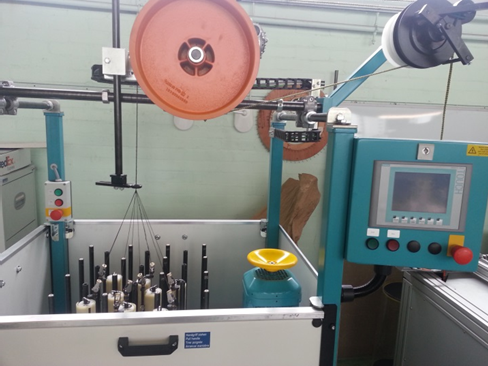 Tension control in conventional weaving machine: Warp let-off with better tension control has been developed and installed. Various weave architectures will be produced along with near net shape preforms. Various weft tension control systems have been explored in order to integrate them onto the weaving loom. This system will enable better weft tension control resulting in less fibre damage during the weaving process. 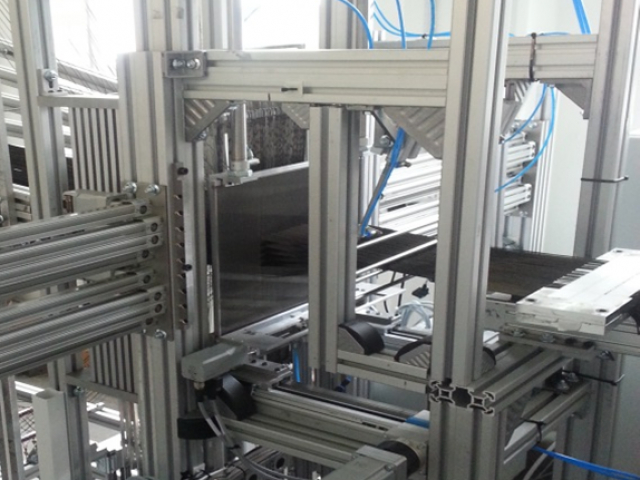 3D braiding: A new profile braider has been installed and commissioned. Various profile structures are being manufactured in order to explore capabilities. 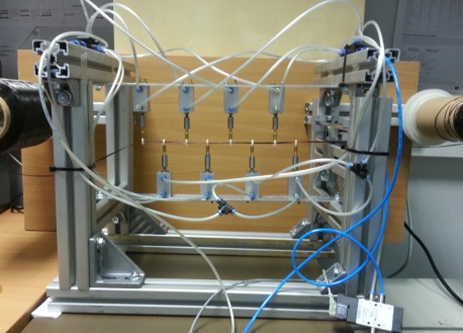 3D braid-winding machine: A 3D braid-winding machine has been designed and developed. 2 layer structures with binder and axial yarns have been produced. 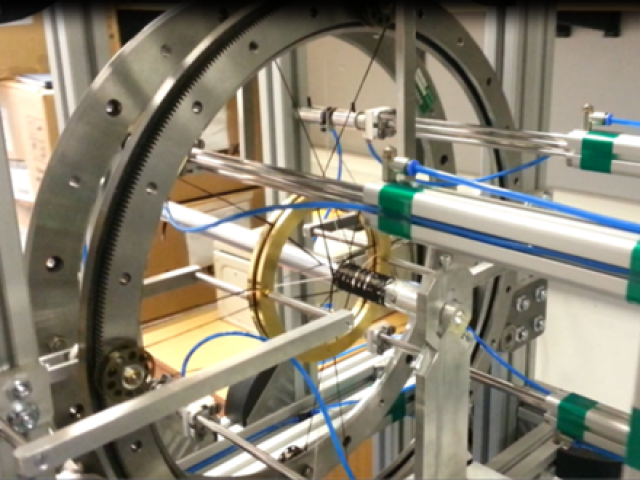 More winding rings will be integrated after preliminary trials. 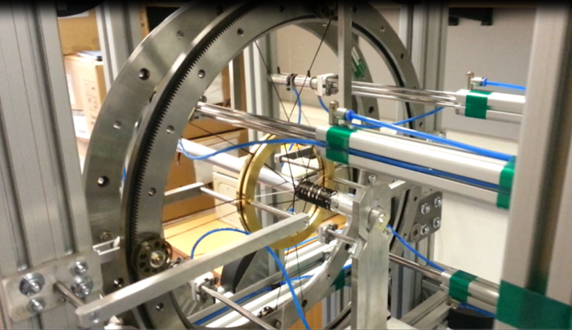 Preliminary mechanical tests are being performed to compare properties with similar structures (braided, filament wound). The research work concerning the braiding/winding process is underway for developing a complex-shaped fibre reinforced pipe for aviation fuel supply. A new research project has commenced in collaboration with a well-reputed automobile company. It will concern winding on a complex shaped mandrel. Also, a research grant has been acquired for developing composite helicopter rotor blades. This will also involve using sensors during preform manufacturing hence producing a multifunctional composite.